If you’ve fallen in love with Duchess of Sussex’s backless number for her royal wedding reception, here’s some good news: you can now wear a similar version of Meghan Markle’s bespoke Stella McCartney dress for your own nuptials. Launching her first ever bridal collection this week, the British designer has designed a 17-piece assortment for the modern, confident bride. Aptly named “Made with Love”, the Spring 2019 collection launches with seven sleek bridal gowns—including the exclusive “Made with Love” dress with a high neck line and deep low back, inspired by the Duchess’ reception dress—a chic lace embroidered jumpsuit, and a sophisticated tuxedo in ivory. Available in a colour palette of lily white, onyx black, pure white and scarlet red, “Made with Love” stays true to McCartney’s commitment to sustainability, crafted from sustainable viscose and modern iterations of traditional couture fabrics like lace and chiffon. Dress aside, it's also about the magic of the shopping experience. 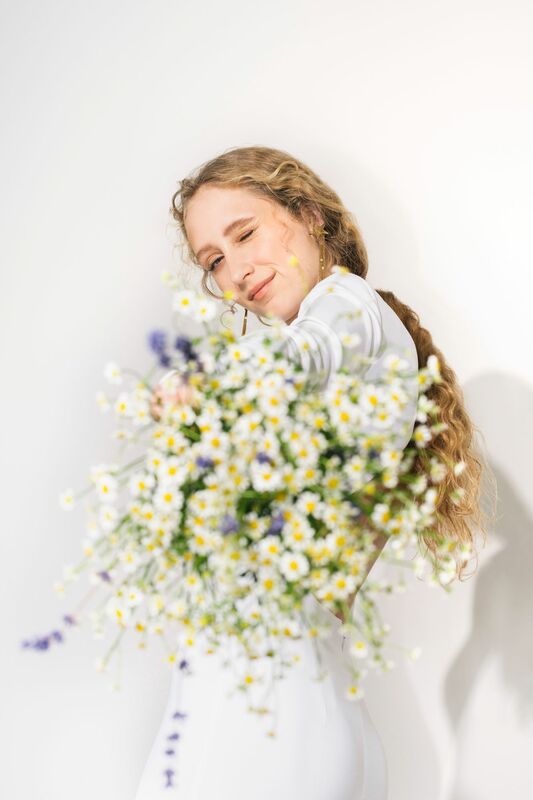 Stella McCartney brides will enjoy a bespoke bridal customer experience from the Stella McCartney team in stores to help them find the perfect dress for their big day. A whimsical touch: Each style comes with ‘something blue’, in the form of a blue tag sewn into the garment with a personal message from the designer. The “Made with Love” bridal collection is available exclusively in select Stella McCartney stores worldwide, and at select retailers including Harrods, Net-a-Porter, Selfridges, Saks Fifth Avenue and Nordstrom.